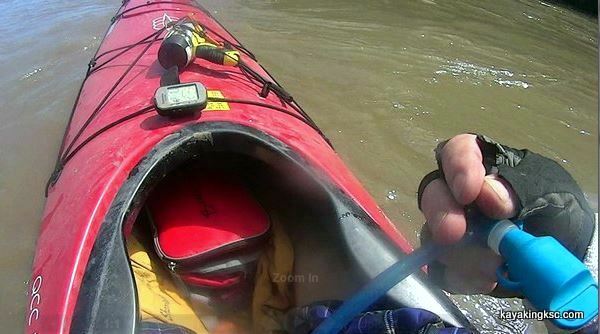 Kayak Training for the MR340, the worlds longest "non stop" River Kayak Race! 340 miles down the Missouri with a time limit of 88 hours. Sunrise on the Muddy MR340. In the photo: Spotlight from night travel, snack bag, paddling attire (kilt), gloves for sun protection, a platypus drinking tube (electrolyte mix) and device for measuring paddle speed. Not in photo: pee bottle. 88 hour of mud and heat. (story of our most recent MR340 race) Midwest Tornado? 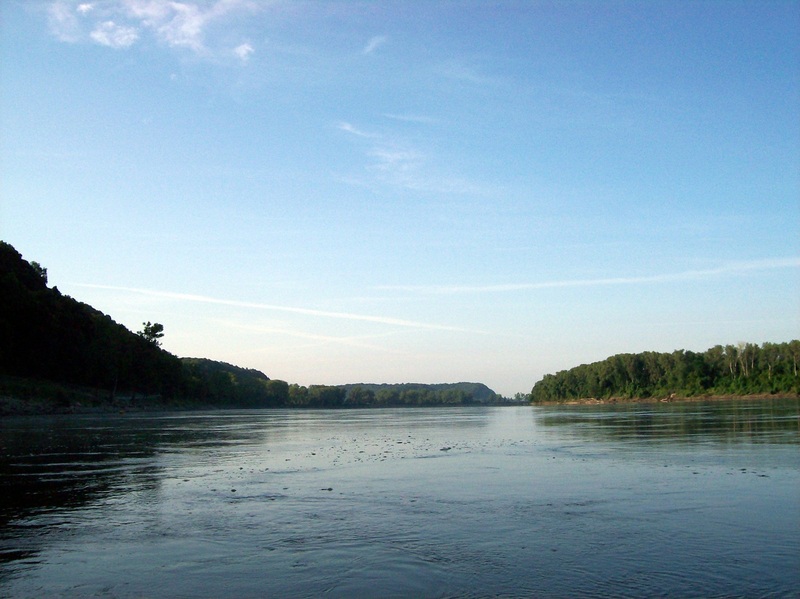 The waters around Kenney Space Center are unique as the ideal training for Missouri River MR340 Race. 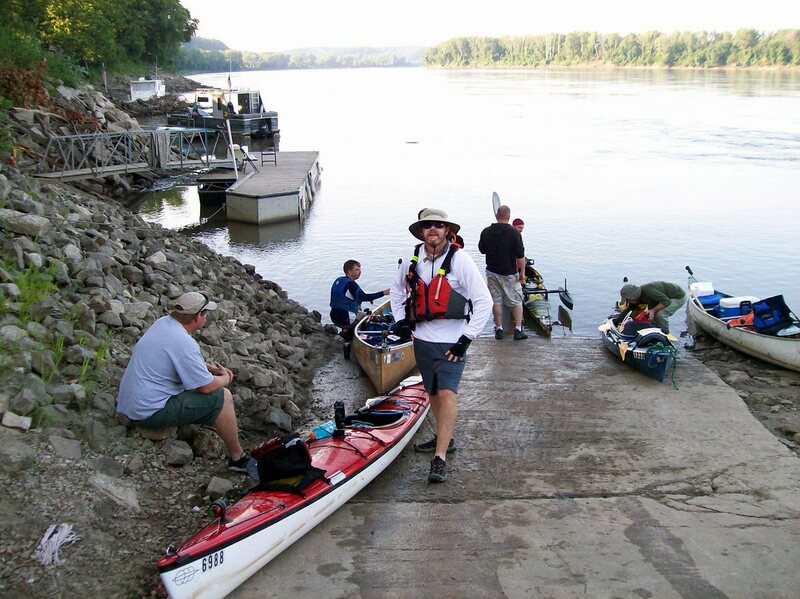 The Missouri River MR340 is the world’s longest nonstop river kayak race. 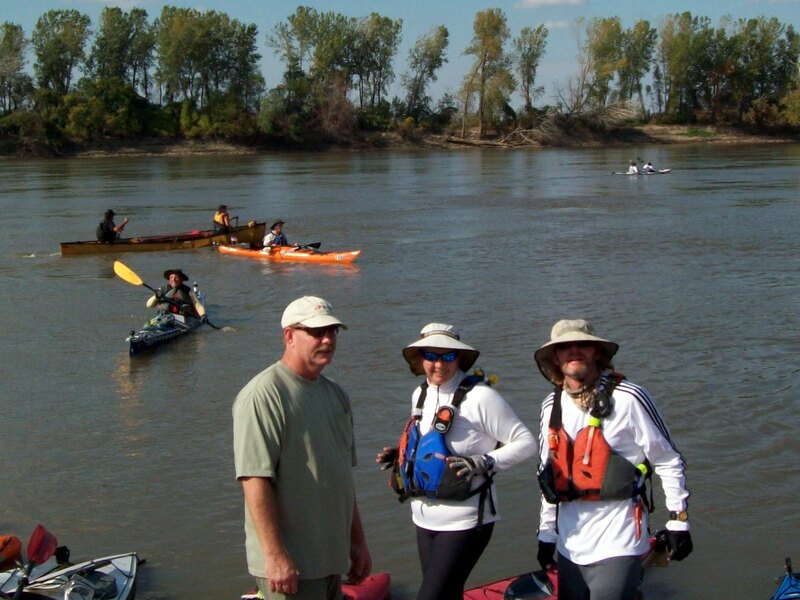 340 miles across the state of Missouri, from Kansas City to upstream from St. Louis with an 88 hour time limit to complete the race. Each year approximately 600 paddlers in canoes, kayaks and stand up paddle boards attempt the epic journey down river through heat, rain, mosquitos and mud! On average only two thirds of the racers who enter the MR340, complete the race. Precluding injuries, nearly all of those who quit have not trained or prepared for miles-eating paddle days. Train, train, train. So why would you want to compete in the worlds longest non stop kayak/canoe River Race? • Mild winters of central Florida allows for all year training. 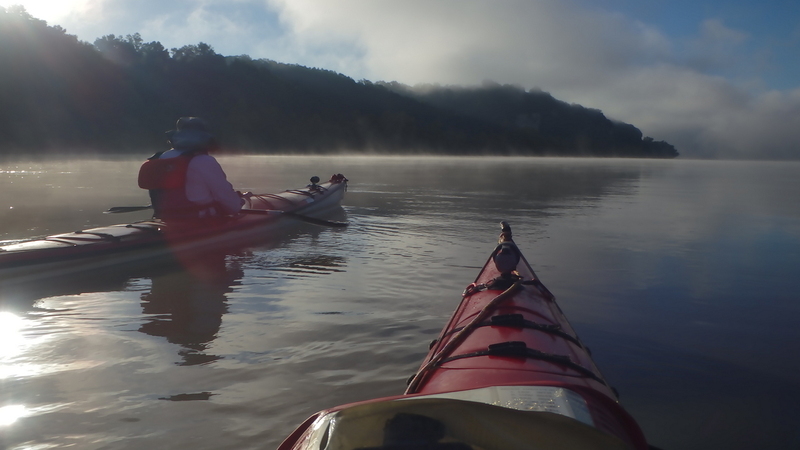 Paddling the cool mornings of a Florida winter & spring are one on life’s hidden pleasures. 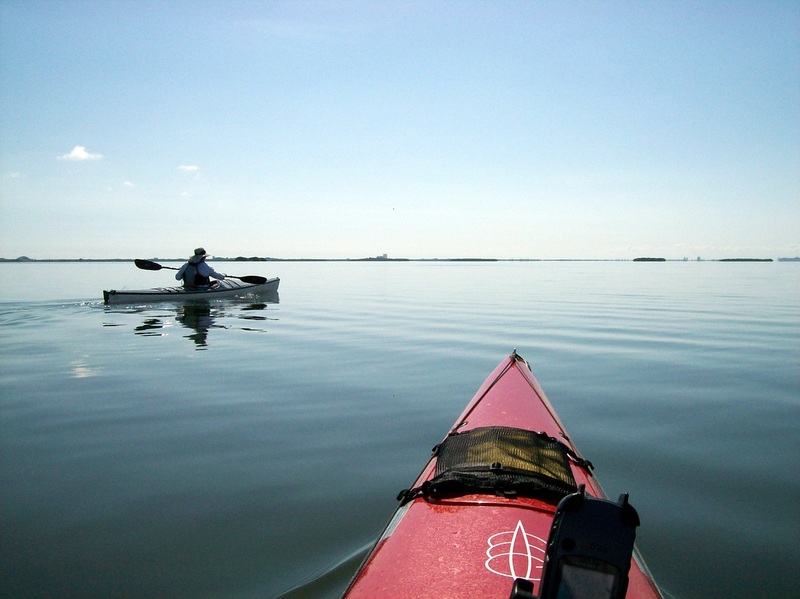 • Wild open waters of the space center lagoons and Indian River are ideal for putting in uninterrupted training miles and the testing of food and drinks. • Heat comes early to Florida, allowing a paddler to get acclimated to paddling for hours in the energy sapping heat of the mid-summer Midwest. Heat is one of the biggest challenges to completing the MR340. • Windy conditions of the space center lagoons. Unpredictable wind conditions of the east coast of Florida can mimic the unpredictable winds on the Missouri River. Training for the sudden change in wind directions prepares and readies how your boat, body and mind will react to cross & head winds or sudden storms. –As a veteran of three MR340 races I can attest how important wind training is. • Night Training. Many miles and hours on the MR340 are done under a full moon with owls and coyotes calling from the Cottonwoods of the dark river banks. Night training on the open Florida lagoons is simple and safe-no branches waiting to pull one out of their boat. And the Bioluminescence can be spectacular! • Fog conditions. Mornings on the Missouri River and the space center lagoons can be fogged in-often with zero visibility. Training in white out conditions on the lagoons is safer than one might imagine. Wide sections of the space center lagoons are less than a foot in depth and most boats are restricted to the deep water channels. Other areas are “idle” zones because of the manatees living in the lagoons. And of course there is the Banana River “No Motor Zone” where combustible powered engines are not allowed-ideal for training safely in fog. • Choice of paddle locations. The triad of rivers around the space center: Indian River, Banana River and the Mosquito Lagoon offer a variety of options to paddle to avoid the worst of wind conditions. 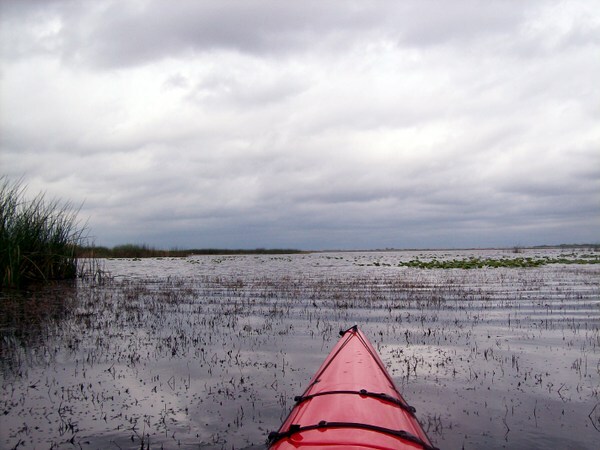 For example, if the wind is blowing out of the east and the Banana River is too rough to paddle, one can avoid the winds by paddling the Indian River. If the wind is out of the south, there are two east west canals (Barge or Haulover) that can be paddled to avoid the worst of winds. Finally there are the inland fresh water rivers to practice on during those “Small Craft Warning” days when the weather conditions preclude any boating activity. • No need to shuttle vehicles. There is very little current in the waters of the space coast. Unlike rivers where one has to paddle “downstream” creating the need to having a vehicle waiting at the end point; the lagoon waters with their lack of current forces a paddler to leave the park site, paddle in a pattern and return to the original launch location. No shuttle required. This reduces pre-paddle time and allows for extra paddle time. • Shallow waters. Most of the space center lagoons are very shallow-one to two feet in depth. In the event of a tip over of a boat, a paddler need only stand up. Our favorite practice route (red line) in Indian River. 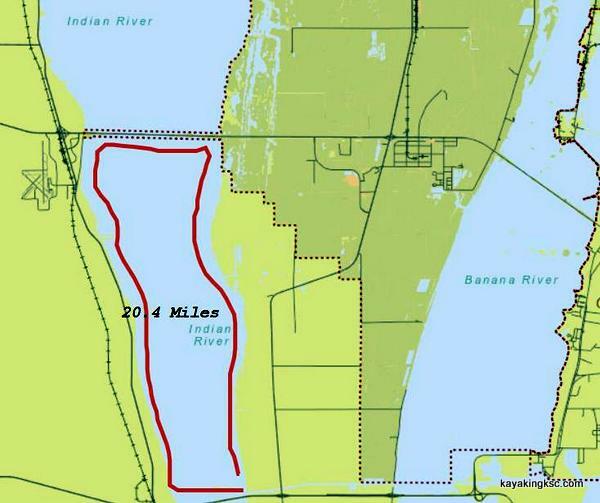 The dotted line indicates the south boundary of Kennedy Space center and the No Motor Zone in the Banana River. For a change we will jump over to the Banana River NMZ unless there is a rocket launch and the NMZ is closed. The unique waters of the space center are the perfect training for the three times I entered and completed the MR340 --And the future training waters to enter the rewarding race. Simply no other experience can match this adventure. 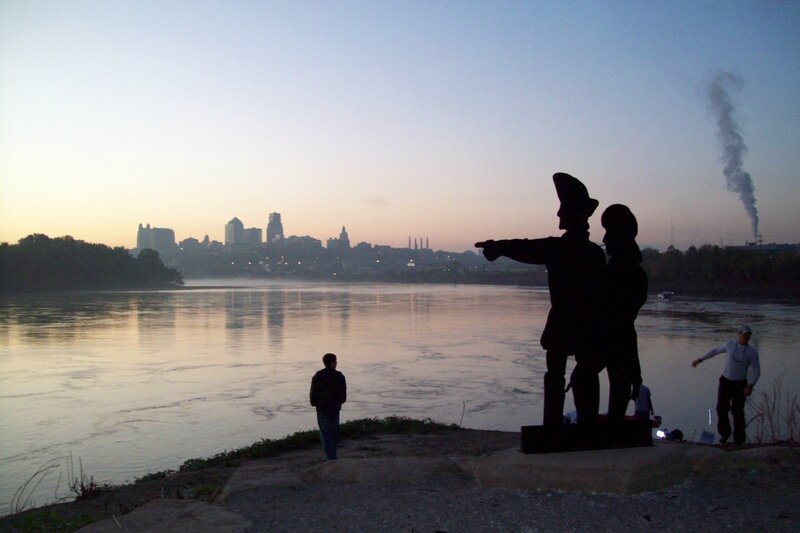 Dawn at Kaw Point (confluence of the Kansas and Missouri Rivers) Kansas City in the background. Dawn on the Missouri River. 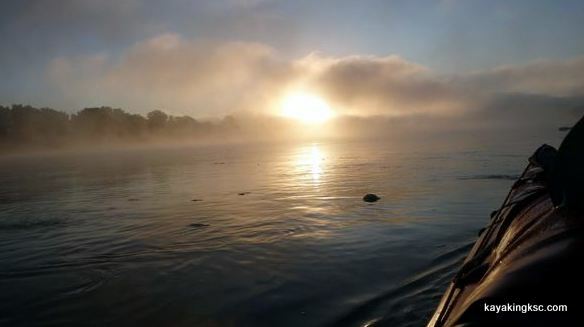 Fengshui: Sunrise, fog bank & river current. Listed the checkpoints and our goal of for each day. This is our "easy" race pace in which we sleep for 4-6 hours a night. Follow this easy plan and arrive at the finish line nearly in last place--but you arrive at the finish line. 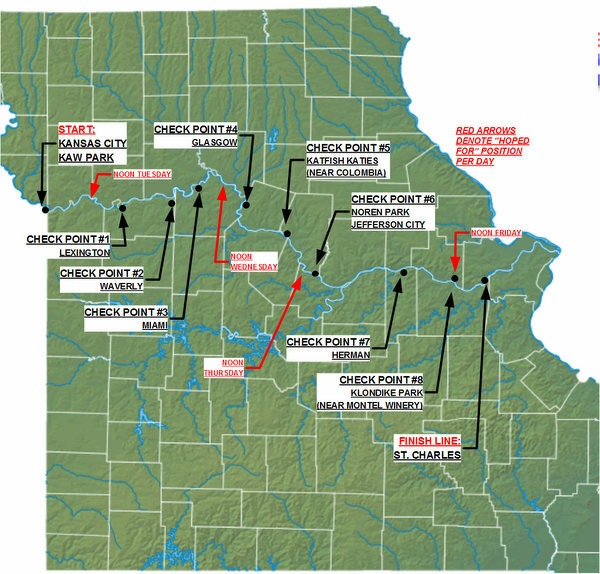 Just because: Winter surveys of the Missouri River Race route & musings on a pipeline leak into small Missouri Creek. In conclusion: Safety on the Lagoon? So there are alligators on the space coast. Mostly the are just curiosities but there are a lot of them!